This topic contains 18 replies, has 7 voices, and was last updated by lazzonn76 2 months, 3 weeks ago. Moving the VR view to the headset seems to be an issue for some users. If that’s your case, please report the details (including gpu, Win version, steps attempted, etc.) in this thread. I have googled the issue and watched numerous videos on it. I am connected up fine. I run the Trinus software (tried the link off the main website and the version below 0.93b), pick monitor Display 2 as if i go to screen resolution – detect displays it shows up in the VR headset as display 2. I then run the SteamVR software which loads full screen and looks perfect on screen but shows nothing in the headset. Next I hold Shift and Windows Key + Right arrow cursor key. Nothing happens. 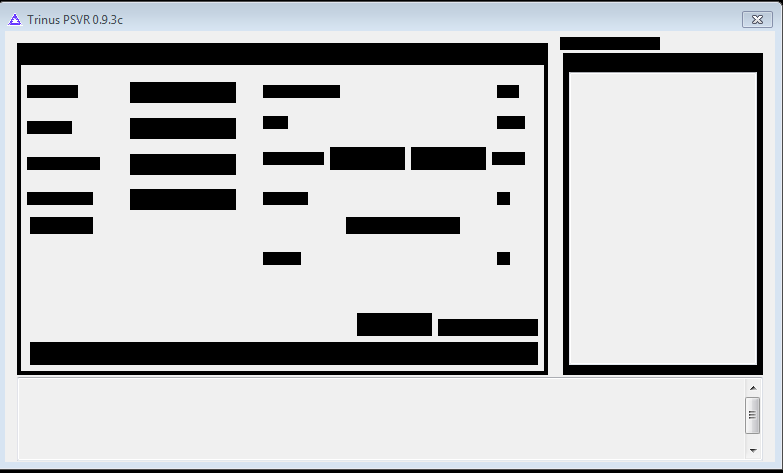 So I do that and the windows appear fine on display1 e.g. my PC monitor but again the headset is blank or only showing part of the desktop. Have checked the resolutions are correct for both monitors detected in the guide. Only difference I can see is online you use Win10 and I am on Win7 but there was no mention on the site about the system not working with Win7 before i bought it just now. I have tried the steps in your post above also but with no success. I’ve updated the link to test a couple things. Please try again. One other thing to check: on which ‘side’ from the main display is the psvr display, left or right? go to Windows display properties and try changing to the other side. btw, the working assumption is that all displays are at 1080@60hz. So I tested changed version and first one that was in this thread. I have the same problem I stated in the e-mail. Which is, because I can’t select headset view via alt-tab – because it borks screen to be red/brown flat color I only have 3d view in my monitor (DISPLAY2). One interesting thing, changing from DISPLAY 1 to DISPLAY 2 in Trinus while SteamVR was on, made the red/brown color automatically move to PSVR, but that didn’t help at all with having working window. Restoring broken composite window still made it working on monitor (DISPLAY 2) Alternative mode did nothing, in my opinion. EDIT: My PSVR desktop screen is to the right of my monitor. This reply was modified 1 year, 1 month ago by dagondev. @dagonev, so if you don’t do alt+tab and just use the display selector, it works fine? What is display selector? I can’t just not alt-tab because when I run SteamVR compositor window is on full screen. I assume you mean changing display in Trinus while having Trinus on DISPLAY 1 (PSVR) when I run my steam vr (which will open on DISPLAY 2 – monitor). I am almost certain I already tried that, but will get back to you soon. and I couldn’t do anything. I can’t see mouse. shift+windows+right made trinus and headset view dissappear. Alt-tab didn’t work I need to use ctrl+alt+delete. Using alternative mode and same steps stopped starting from DISPLAY 2 being completely broken, but doesn’t help with making 3d appear on PSVR. So I have something working although I didn’t check it more than just run a game as I don’t have time atm. 🙁 And I am pretty sure it only works because you can set Skyrim to work in the background (although I managed to do alt-tab to skyrim without borking headset view). Anyway. I started with setting PSVR (DISPLAY 1) as a main screen and runned there trinus and steam as administrator. (I set PSVR DISPLAY TO DISPLAY 1 in trinus, but didn’t check DISPLAY 2 yet) Runned steam vr which properly launched in PSVR. Then alt-tabbed and made my monitor as main screen back (DISPLAY 2). then alt-tabbed to headset view and made it fullscreen again and it got back to PSVR – properly working. At first I forgot about VorpX and just opened Skyrim Game was working but obvs didn’t appear on PSVR. And still needed to do alt-tab to repair compositor window. Anyway, it looks like after launching VorpX as administrator, not only Skyrim appeared on PSVR view in 3d, but then I could normally alt-tab to the game without breaking 3d view on PSVR (although I need to test this more). I don’t think I will have more time today, but tomorrow will update you on this. ok, I didn’t realise VorpX was involved. Just to be sure, you still get a VR Compositor process in Task manager, right? Have you tried with SteamVR games? That aside, if Steam/SteamVR is running as admin, VorpX needs to run as admin too due to privileges required through the VorpX injection process. VorpX is involved only if I managed to move 3d view to PSVR, which I didn’t managed to do before switching main screen to PSVR, so when I was testing it was off. Anyway, had little time before work and I ran Skyrim again. It looks like making psvr view as main screen running steamvr, and then vorpx and steam on my monitor as main screen, is consistent but I need to set skyrim to window mode (and probably to run in background). If I get a chance I will try other games. No I didn’t try SteamVR games, do you have any free recommendation I could test? Could you post what steps should be done then? Just on my issue, I have tried the new version and it doesnt work also. My monitor is detected as number 2 to the right of my primary display. I have tried moving it to the left. I have tried alternating shift windowskey left and right arrows. So when I start Trinus it does calibration fine. I open Steam VR and my PC main display 1 shows a split screen image of Steam VR. I immediately press Shift+WinKey+RightArrow. I get a mouse pointer showing on the screen as soon as i do it. I try the same combo again and it dissapears the mouse cursor, no movement of the screen. So assume it is not the active window. So I alt + tab to Trinus. Alt- Tab back to Steam VR and it goes to a brown green ugly display, no Steam VR showing just that old error warning me to run it full screen. I can now do shift+winkey+right to move the brown to my VR headset but i cannot fullscreen it in the vr headset so it just doesnt work. Spent another 3hrs on this tonight and cant get it to work with all sorts of combos. Im in the right res and hz for the monitor so yes thats right 60hz at 1920×1080. struggling to know what to try next. Also tried alternative display settings in advanced again, not sure what that does but it doesnt make it work. Tried flicking display1/2 to get it to work no joy. Hmm, after doing some more research on this specific problem, it feels like it might be an OS specific issue. Every youtube video I’ve seen showcasing the shift+windowskey+arrow move is always on Windows10. Anyone running any other OS besides Windows10 NOT having this issue of not being able to shift+windowskey+arrow over the compositor screen to the PSVR hmd? I am planning on upgrading to windows 10 and report back here with my findings! This reply was modified 1 year, 1 month ago by kitch907. I just bought trinuspsvr, I’m running on Win 7 Pro with a 1060 3GB and am having EXACTLY the same problems as described above. @kitch907 did you upgrade? Or find another solution. JFYI with the very latest version 0.9.5 I got thing s to work sporadically but I have no idea what key magic was required, it seemed rather random. however I downgraded to 0.9.2 because of judder issues and now I can’t get it to work at all. I can’t shift the compositor to PSVR at all. Alternative mode not worked properly also. This reply was modified 3 months, 1 week ago by dbykadorov.